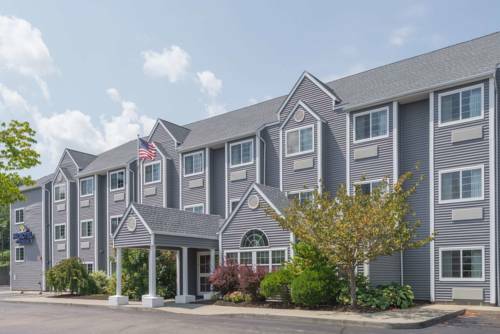 Located on Highway 32 with easy access to Route 2A, this Microtel Inn and Suites by Wyndham Uncasville offers a complimentary shuttle to Mohegan Sun Casino and is close to Foxwoods Resort and Casino and historic Mystic Seaport. The Groton New London Airport is 18 miles away. Start each morning with a complimentary continental breakfast and keep up with email and news with the complimentary wireless Internet. Bring a crowd, because this hotel offers complimentary large-vehicle parking. Refresh your wardrobe in the guest laundry facilities, gather with friends or colleagues in the meeting room, and grab a bite at the snack corner. Rooms feature hairdryer, and suites offer coffeemaker, refrigerator and microwave. In 1826, this touring pachyderm was shot down by mysterious gunmen on a bridge while the circus was in town. Today, there's a commemorative plaque on the bridge.